Location: Australian National University, Canberra. Applications close: February 8, 2018. The ARC Centres of Excellence for Climate System Science and Climate Extremes will host a graduate level winter school on June 25-29, 2018, at the Australian National University, Canberra. 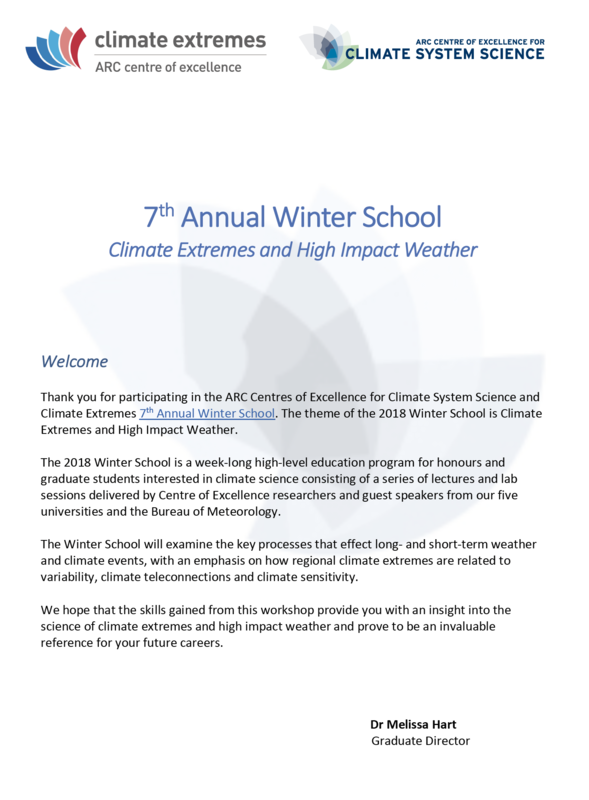 The theme of the Winter School is Climate Extremes and High Impact Weather. 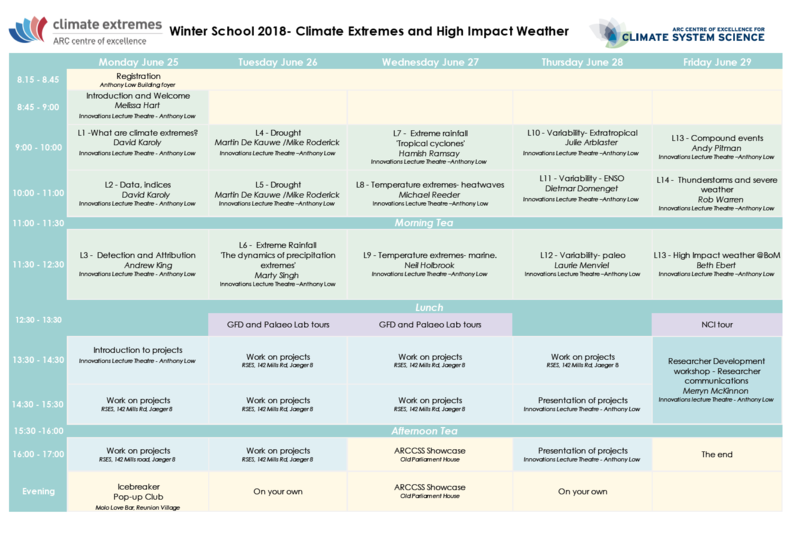 The winter school will examine the key processes that effect long- and short-term weather and climate events, with an emphasis on how regional climate extremes are related to variability, climate teleconnections and climate sensitivity. This is a high-level education program for honours and graduate students interested in climate science. It will be of relevance to those working in atmospheric sciences, oceanography and land processes. The winter school will consist of a series of lectures and lab sessions delivered by Centre of Excellence researchers from our five universities and partner organisations. Some funding is available to support attendance. Priority will be given to honours and graduate students working on climate science problems. ​The number of places is strictly limited. Note- this page will be continuously updated up to, during, and after the Winter School week so be sure to keep checking it for new material. Marty Singh: O’Gorman, P. A. (2015), Precipitation extremes under climate change, Curr. 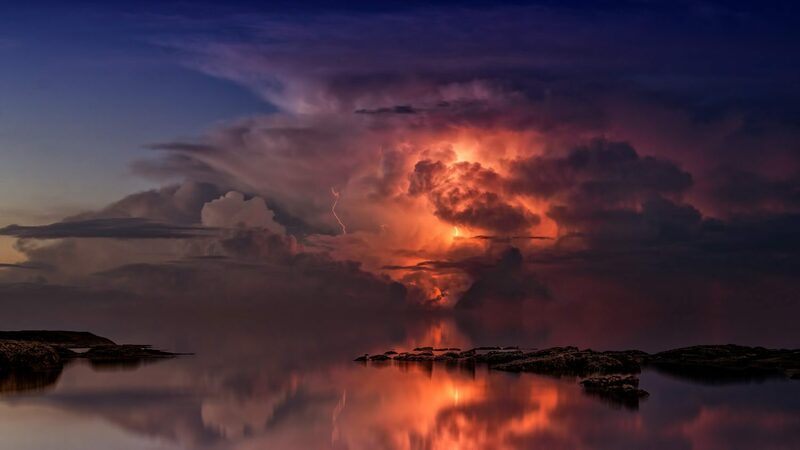 Clim. Change Reports, 1, 49-59. Jakob Zscheischler, Seth Westra, Bart J. J. M. van den Hurk, Sonia I. Seneviratne, Philip J. Ward, Andy Pitman, Amir AghaKouchak, David N. Bresch, Michael Leonard, Thomas Wahl & Xuebin Zhang, 2018, Future climate risk from compound events. 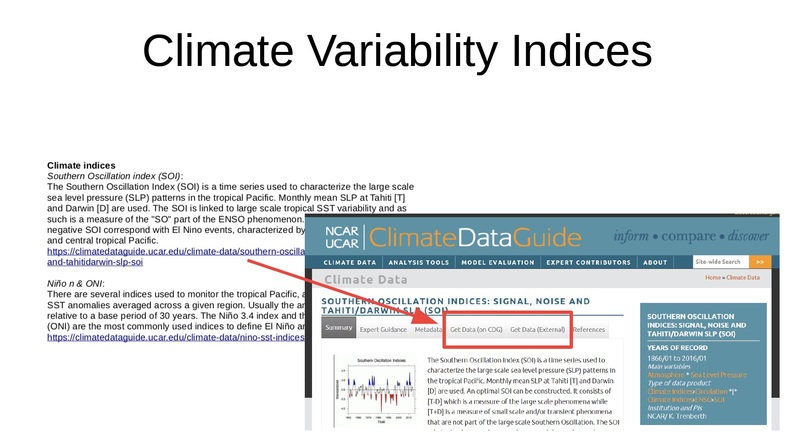 Nature Climate Change, doi: 10.1038/ss41558-018-0156-3. (Research brief here).